Modern libraries have different furniture requirements than those of just ten years ago. 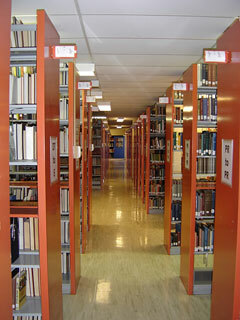 The current library must integrate books, circulars, electronic media, and computers. The needs of the population are rapidly shifting toward more flexible space use and integration of traditional media with new technologies. With the advent of the Internet and the World Wide Web, information is more quickly accessed and disseminated, and libraries traditionally housing bookshelves, tables and chairs have had to adapt to the evolving needs of today's patrons. While bookshelves have remained much the same for hundreds of years, other library furniture has been dramatically changed. Tables have undergone design innovations to keep up with Internet workstations and the accompanying wiring. Typical card catalogues have been scrapped in favor of online information databases. Study areas have been changing from structured table and chair combinations to more of a lounge setting so that users can spread out and comfortably access a world of information through laptops and wireless networking. Libraries require comfortable seating and couches, multifunctional tables, and support systems for multimedia stations with printer kiosks, as well as the traditional bookshelves, study tables, and counters. Library furniture also requires flexibility. The next generation is more likely to collaborate on projects, and the focus needs to be on furniture that can be moved and changed around easily. Large reading tables for students to spread out are necessary as well as private reading carrels for traditional thinkers. Bookcases and circulation desks should be sturdy and durable, have comfortable edges, and spacious storage. Libraries must be prepared to accommodate changes in traditional furniture setup as they move forward to become multimedia centers of the future. The following library design and furnishing companies have been carefully selected for their experience in library planning and interior design, and for the quality of library furnishings and accessories they offer. 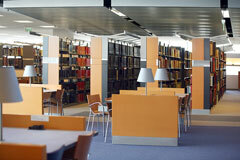 Brodart is a full-service library supply company which offers a versatile selection of contract library furnishings. Longo Libraries offers library planning and construction services as well as a host of library furniture options. Library Furniture International markets its line of contemporary and custom designed library furniture to public, university, and corporate libraries. Gressco features classic library display furnishings and colorful, imaginative children's furniture. BCI is a Danish designer and manufacturer of library shelving and furniture products. Demco strives to support the work of library and education professionals and offers an extensive line of library supplies, furniture, equipment and learning materials. Tesco Industries is a Texas-based firm which strives to offer library furniture of unmatched quality. Worden specializes in manufacturing and marketing library furniture and upholstered lounge seating. 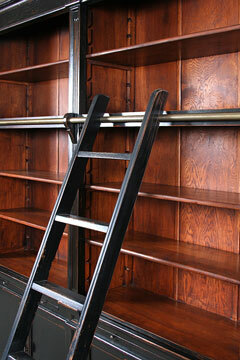 Palmieri offers standard and custom library furniture lines which feature European hand craftsmanship. DEMCO Library Interiors features inspiring library furniture which is based on its long-standing experience with library environments. Agati designs, engineers, and manufactures finely crafted furniture for libraries and other markets. Moduform Library Bureau manufactures a wide range of shelving, tables, carrels, circulation desks, display furniture, computer furniture, and wire management products for libraries. The Gaylord catalog features a variety of library supplies, furniture, and archival solutions.